Download my Torres del Paine Trekking guide! I published all information needed to plan your trip to Chile in one clear and concise guide book based on my experience. 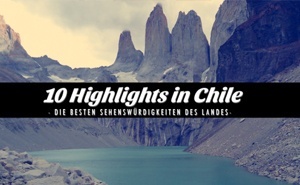 This book includes travel guides for each region of Chile with a strong focus on Patagonia and is designed to save you a lot of time & will make your trip much easier! Like in the other Guides for the shorter W trail I'll first explain the standard route and then give examples of longer & shorter itineraries afterwards. Please plan your trips always with regard to your physical ability and your experience. If you have no or just a bit of hiking experience keep it low and plan more time for each trek. To prepare for trekking in Torres del Paine checkout my other post named ‘How to prepare for hiking in Torres del Paine' with information about transport, accommodation in Pto. Natales, Gear and prices. Moreover I recommend a good health & travel insurance: the one I used from WorldNomads is perfect for this trekking trip as it covers also adventure activities! Please Note: Since 2016 the CONAF limits the number of people on the circuit to 80 per day and you are only allowed to hike it counterclockwise. Make sure to reserve all campsites in advance and have some sort of confirmation with you to prove it (they only allow people with reservations to do the hike as the camp spots are limited). If you are too late and not able to make reservations your only chance is to take part in a guided trekking tour or explore the park with day hikes. This map shows the trail you are supposed to hike (green path). With the standard itinerary you will have the big experience of hiking Torres del Paine without being in a rush. Especially the first days are pretty relaxed and perfect to get used to the whole hiking thing. Nevertheless I recommend to plan always 1 day more, because sometimes the John Gardner Pass is not doable due to very bad weather conditions – in that case you might have to go back and stay one night more at Campamento Los Perros (make sure to take some extra food with you). Moreover I describe everything with stays in campsites / campsites next to Refugios (it's not possible to do the described trek with refugio stays only). Leave Puerto Natales with the early bus (15.000 CLP return ticket) and get off at the park entrance (fee: 21.000 CLP) where you start walking. For this head to the river and cross it, walk along the street until you see a path to your right which goes to Serón. After a nice walk through the woods and open grasslands you arrive at Campamento Serón in the early afternoon. We keep it low for today and start setting up the tent for the night (10.000 CLP). Today you'll have to walk only a bit more than yesterday to get to the most beautiful campsite in the park. Because you'll walk approximately 5 hours you can get up late, pack your stuff and leave the camp after having a relaxed breakfast. The path goes along a river and little lakes and heads uphill over a little pass where you are able to experience heavy winds. Depending on the time you left Serón you'll arrive in the afternoon at the lake Dickson where you find a campsite located directly on the river with a Glacier in the background. Isn't it beautiful here? As you see you have another short, nice walk ahead – enough time to enjoy the scenery at Dickson for a bit longer, having a nice breakfast at the mirador before you get ready to hike. Start your hike to Los Perros at around 11 a.m. You'll hike a bit uphill and through the forrest before you reach a mirador with a nice view back to the Lago Dickson area and to the valley you are supposed to walk up. A bit later you have the chance of seeing a waterfall (you'll here when you are next to it). Keep going after a short break. The path leads through a forrest and after that you'll cross the River twice. Now it goes up, across stones and rocks – believe me: it's worth it! Up there you reach the Mirador Britanico with a great view to the Glacier Los Perros and the Glacier lake. Take your time as the campsite is only a 10-15min walk from here. With all the breaks you'll reach Los Perros between 3 p.m. and 4 p.m.. Go to bed early today as the pass and with this the steepest part awaits you tomorrow. Set your alarm to 5 a.m. as it is best to cross the pass in the morning. Oh, 5 a.m. – it's still dark and cold which makes you want to stay in your warm sleeping bag. Try to resist and head out to treat yourself with a nice breakfast and a hot coffee to be ready for the tough pass. After packing again -now you should be an expert in doing that- you leave the camp (6 a.m.) and head uphill for the next 2-3 hours. After walking through the woods you'll reach an open area where you basically walk on stones and rocks. Before continuing make sure the weather conditions are good enough to see the orange/red poles that mark the trail. If not: turn around and head back as it might be to dangerous to continue (it get's much rougher the higher you get). If everything is fine you will have an amazing walk, though it might be exhausting walking uphill and experiencing the strong winds. When you reach the highest point chances are high that you have to crouch due to strong winds – you can find a windcover on the left hand side to celebrate the climb. When continuing the wind will calm down but your breath will be taken away due to the stunning view you'll have for the next hour. Enjoy it and 5-6 hours after you left Los Perros you should arrive at Campamento Paso (11 a.m. – 12 a.m.) where you can enjoy some views nearby and have enough time to charge your batteries. Wow – day number 5 and you already experienced a lot of cool stuff, eh? Stay excited and leave the Camp around 8 a.m. It took me 5 hours to walk to Refugio Grey and it was my personal highlight as you walk along the cliffs right next to the Glacier Grey. Moreover you have to climb some ladders and cross some bridges. 3-4 hours after you left Paso you arrive at an old campsite here you should use the chance to visit the Mirador nearby and continue afterwards to the Refugio Grey where you can have lunch (arrival around 1 p.m.). Pack your stuff and head back down (at around 2 p.m.) to Paine Grande where you spent the night (6.000 CLP), it will take around 3-4 hours – make sure to find a nice place next to the little hill to avoid a bit of the massive winds down there. Today is a long & tough day, so get up early again and walk (start at 8:00 a.m.) to Campamento Italiano (around 2 hours = 10 a.m.), leave your big backpack at the camp and head to the Mirador Frances with your daypack (take lunch, water, suncream). After 2,5 hours you'll reach the Mirador and have lunch (12:30 pm.m.). Go back down to Italiano, grab your backpack and keep going to Los Cuernos (03:00 / 3:30 p.m.). After another 2 hours you should reach the campsite (at 5:00/5:30 p.m. – 70.000 CLP). Alternatively you can camp at the much cheaper Campamento Francés (10.000 CLP) and go for a longer trek on the following day. On your last full day you have a nice hike ahead – starting flat and going up at the end to the base of the Torres. Start your walk around 9 a.m. to Campamento Chileno. The trail goes along the Lago Nordernskjöld, after around 3,5 hours you'll reach the shortcut to Chileno (it's hard to miss as there is a big sign saying “shortcut to Chileno”). Another 2 hours later you'll arrive at the Refugio Chileno (around 2:30 p.m. / 3 p.m.) you can make a short break and afterwards head uphill to the free campsite Campamento Torres, this will take around 1 hour. After setting up your tent use the chance to visit the Torres for the first time – it's a 45 min walk uphill. Note: Unfortunately Campamento Torres will be closed for the 2017-2018 season due to maintenance work – therefore you need to switch plans to camp at Chileno (pretty pricey) or down at Campamento Las Torres (next to Hotel Las Torres). You should consider doing the sunrise hike only if you stay at Chileno and calculate 2,5 – 3h to reach the towers. After your return take down your tent, pack your stuff and leave the camp at around 9 a.m. Head down to the Hotel Las Torres – it'll take around 3 hours to arrive there. Depending on the time you arrive (should be 12 p.m.) you can decide if you want to walk from the Hotel to the entrance (1 hour, 7,5km along the road) or pay 2.800 CLP extra to take the minibus which leaves around 2 p.m. The Bus back to Puerto Natales leaves at 2:30 p.m. from the entrance as already described in the preparation Guide. Congratulations! You've done the circuit / ‘O' and with that around 125-130 km by foot. Ok, you feel good, you made some hikes before or just have a limited time? Then you can also do the circuit in a day less. Please consider anyway to take food for an additional day as the pass might not be doable due to bad weather conditions. Today and tomorrow are quite challenging – so get a good breakfast and start early (7 a.m.) to get to the most beautiful campsite in the park around lunchtime. The path goes along a river and little lakes and heads uphill over a little pass where you are able to experience heavy winds. You'll arrive at lunchtime at the lake Dickson where you find a campsite located directly on the river with a Glacier in the background (12 a.m.). Isn't it beautiful here? As you see you have another 9 km walk ahead – enjoy the scenery at Dickson for a bit, having a nice lunch at the mirador before you get ready to hike (1 p.m.). You'll hike a bit uphill and through the forrest before you reach a mirador with a nice view back to the Lago Dickson area and to the valley you are supposed to walk up. A bit later you have the chance of seeing a waterfall (you'll here when you are next to it). The path leads through a forrest and after that you'll cross the River twice. Now it goes up, across stones and rocks – believe me: it's worth it! Up there you reach the Mirador Britanico with a great view to the Galcier Los Perros and the Glacier lake. Take your time as the campsite is only a 10-15min walk from here. With all the breaks you'll reach Los Perros between 6 – 7 p.m.. Go to bed early today as the pass and with this the steepest part awaits you tomorrow. Set your alarm to 5 a.m. as it is best to cross the pass in the morning. If everything is fine you will have an amazing walk, though it might be exhausting walking uphill and experiencing the strong winds. When you reach the highest point chances are high that you have to crouch due to strong winds – you can find a windcover on the left hand side to celebrate the climb. When continuing the wind will calm down but your breath will be taken away due to the stunning view you'll have for the next hour. Enjoy it and 5-6 hours after you left Los Perros you should arrive at Campamento Paso (11 a.m. – 12 a.m.) to charge your batteries before you continue to Grey. It took me 5 hours to walk to Refugio Grey and it was my personal highlight as you walk along the cliffs right next to the Glacier Grey. Moreover you have to climb some ladders and cross some bridges. 3-4 hours after you left Paso you arrive at an old campsite: here you should use the chance to visit the Mirador nearby and continue afterwards to the Refugio Grey where you'll spend the night (arrival around 5 p.m., 5.000 CLP). Yes, the last 2 days have been exhausting – we will use this day to relax a bit more to have enough power for the upcoming highlights. Therefore you can sleep longer and have a long breakfast. Pack your stuff and head down (at around 11 a.m.) to Paine Grande where you spend the night (6.000 CLP), it will take around 3-4 hours – make sure to find a nice place next to the little hill to avoid a bit of the massive winds down there. Ok, you can't get enough and want to have a really relaxed trekking adventure – use this itinerary to enjoy it the best way. You don't need to get up so early today (start at 10:00 a.m.) to Campamento Italiano (around 2 hours = 12 p.m.), leave your big backpack at the camp and head to the Mirador Frances with your daypack (take lunch, water, suncream). After 2,5 hours you'll reach the Mirador and have late lunch (14:30 pm.m.). Go back down to Italiano and get your tent ready for the night – as it is a free campsite you don't have to pay tonight. Again you can take it easy. Start your walk around 10 a.m. to Campamento Chileno. The trail goes along the Lago Nordernskjöld, after around 5,5 hours you’ll reach the shortcut to Chileno (it’s hard to miss as there is a big sign saying “shortcut to Chileno”). Another 2 hours later you’ll arrive at the Refugio Chileno (around 5:30 p.m.). As you see you have the most relaxed day ahead because you just move from one campsite to another. Have a slow start and head uphill, set up your tent and use the huge amount of time to spend some hours at the Torres in the afternoon. Go to bed early today as you have to get up very early tomorrow to see the sunrise at the towers. Depending on the time of the sunrise (ask the rangers) set your alarm 1 – 1,5hours before and prepare a daypack with mat, sleeping bag and breakfast as well as a rain jacket. For Day 9 continue with Day 8 of the standard itinerary. Consider: The free campsite Torres is very popular, therefore you can stay only for one night there. During my time in Patagonia I hiked the W, the circuit and the Q. I hiked the “Q” in 2013 and did the circuit again in 2016, altogether I spent 3 weeks in the park. All times here are based on my experience (i hiked all the trails I'm writing about) – i would say I'm a bit faster in hiking than the average hikers but i made some stops in between for taking photographs and filming. The prices mentioned are for camping and per Person. A good hiking map will be provided for free once you enter the park, you should consider getting a waterproof map beforehand for planning purposes. Have you ever been to Torres del Paine? Anything to add to the itineraries ‘How to hike the circuit in Torres del Paine'? Tell us more! Hello! I am curious about Paso John Gardner in particular. What does it mean to be "properly prepared" for this section of the circuit? Really useful post Steve, thanks! Planning to hike the circuit myself in January. One question about the free camping site: my understanding is that you can’t book them in advance am I right? Then what happens if you arrive quite late and everything is full? Thanks in advance! No – you can’t book campsites in advance but no worries: there will always be a spot for you. I never had a problem finding a place…even when I arrived late. This should probably be updated with more relevant information. Now, you can’t do the loop at all without reservations. Dear greg – this comment is 3 years old & meanwhile a lot of things have changed as mentioned in this article and especially in the preparation article which is mentioned! Which month did you hike? Can I charge my phone and camera batteries at the refugios and campsites? I need a plug in socket, I do not have solar charger. I hiked in February – at some refugios you are able to charge as there are plugs e.g. at paine grande. Another way is to take a power bank with you (find it in my packing lists). Hi there! Hoping someone still reads these. I was wondering if anyone had skipped the valle del frances on the circuit for the sake of time? We will only have 13 full days outside of air travel from the states to enjoy the Patagonia and area. We want to fit in a little relaxing, penguins maybe a day kayaking too. So we are trying to really figure out what to do schedule wise at this point. Sure – you can easily skip that part to save time! Thanks Steve for sharing…this is such great info! Is it realistic to think we can cover the circuit in 6 days? We have a limited amount of time but would really like to do the O. Any other side hikes besides the Valle del Frances you would recommend cutting out to save time? Many thanks again! Hey Linh – 6 days is a bit to tough I’d say as you always need to consider that the weather at the John Gardner Pass could be tough. This is why I calculate always 1 day more. Moreover you need to be very fit to do the O in a short amount of time! Hi Diana this is simply BS if you’ve some hiking experience. The trails are well marked and it’s actually quite hard to get lost as there is mostly only one trail. Nevertheless you should be fit and in good conditions to have an enjoyable journey. 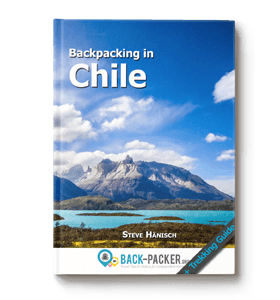 Use the guide I wrote and consider getting my Chile guide on Amazon to have it all in one place (it’ll be published by September just in time for the season start). Hi Steve – Your posts are so helpful! Will be going with a friend in January to Torres del Paine. We’re both mid-20s and really active hikers, so definitely looking forward to doing one of the circuits. 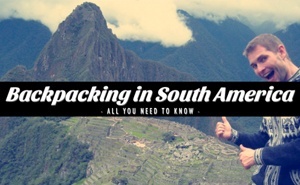 I’ll actually be staying in South America for a month or 2, so have some packing questions about that. I actually just get back from 6 weeks in Europe (hiking 1.5 of those in the Alps and in Montenegro), but got food along the way, so this trip will be a bit different. Do you have any tips for packing/carrying both food as well as clothes/stuff for 1-2 months of city travel and outdoors? Did you leave any of your stuff somewhere while you went hiking in TdP? Thanks! I only carried food for the multiple dayhikes with me and when I went hitchhiking in very remote areas. In general I packed very light but left some of my stuff at a hostel when I went out to hike for several days – this is possible almost everywhere. In Puerto Natales all hostels/hotels offer this service! I actually hiked the whole circuit solo – during high season this shouldn’t be a problem. Also you will meet fellow hikers at the camp sites – a great option to team up for parts of the trek! Hi steve! This website so far has helped me plan for a trek in just two short weeks! The final questions I have are in regards to food and tent options. Did you bring your own tent? Do you know if each campsite offers tents for rent? And if so, do those ever all get booked if you arrive late? And second, do all campsites have places to do cooking? I thought I may have read that somewhere…. Thank you for the help! Hi Emily – thx for your nice words! tent – I brought my own but in certain campsites you can also rent, the avaiballity is limited (check the websites of the providers to make a reservation!). especially in high season those can be booked out. Thank you so much for helping me out with this valuable information. Much appreciated!!!! Hey Steve – great stuff! I have a transportation question.. A friend and I are going to rent a car in Punta Arenas and make our way up there. Is it possible to drive ourselves into the park and leave the car at a hotel or visitor center for the duration of our circuit hike (or W, not sure yet)? thank you in advance! I’ve never done it with going in by car but I know that there are parking spots and I’m pretty sure that this is possible. You can double check at the Conaf office in Puerto Natales before you head to the park though! What do you think about doing the full circuit in 5 nights, 6 days. Would this be a good sequence – bus from punta natales in the morning and hike to Seron; then hike to Dickson; then hike to Los Guardas; then hike to Italiano; then hike to Los Cuernos? Do you recommend a different sequence, or not attempting to do it in 6 days? We land in Punta Arenas on a Thursday at 2pm, and depart from Punta Arenas on Saturday (9 days later) at 5:30pm. We should have one buffer day in case we are too tired or experience bad weather. Perhaps we should just plan for your 7 day recommendation?? Grey, and Dickson open to those staying at the campsites? If so, is advance notice required that we wish to buy dinner, breakfast and a boxed lunch before we arrive? Or can we just show up for dinner or breakfast without any notice? 3) As far as I know you can just show up, but I’m about to do the circuit again in about a week and will update the whole post after my return with the latest findings, prices and dates! Hi Steve, your website is incredibly informative, thank you! My husband and I are going to be hiking the full circuit in November. Here are a few questions/concerns I have… First, since the park is now limiting the number of people that can do the circuit, what would happen if capacity has already been reached for the day that we arrive? Is this likely to happen in mid November? Also, if we arrive on a Saturday or Sunday, will the offices to get entrance into the park be open? Lastly, should we reserve campsites a few months in advance or when we arrive at the park? Thank you for your help! Hey, I don’t know about November as I’ve never been there at that time. Best is to get on touch with the CONAF in Puerto Natales who are managing the reservations. As it states there is max number of people, they won’t let more people onto the trail than this number..for a reason. The entrance / office is open every day. You should def reserve the campsites way in advance! Hi, We are planning to do the circuit in March of 2017 – based on your note on the top how do we make a reservation in advance? Can you reserve the hike online before arriving or is it something we have to do in person? The camps can be booked in advance with the companies running it (see my “How to prepare for hiking at TdP” guide), for the trek you need to get in touch with CONAF in Puerto Natales. Hey, so from what you said you can only reserve the Italiano and Torres at the CONAF offices correct? We are planning on doing the trek and have reserved at the places we could along the O but we are landing in punta areanas staying 1 night in puerta natalas then heading straight onto the trail, should we expect issues with this or will they be okay since we made all other reservations? I just added new information on how to reserve the free campsites to the main article (linked at the top of this one). I highly recommend reserving all campsites in advance! Hello Steve! I am so grateful to have found your site. I’m in the process of ordering your book too :) I’m planning on doing the 7 night, 8 day itinerary this upcoming November. I’ve done a lot of backpacking in California but never anything solo. Do you think this trip would be something better done with a partner? I do not speak Spanish either so communication would be an issue unless most of park rangers do speak English. Also, what is the best way to get to Puerto Natales? The first time I did that trek I hiked solo as well and made a bunch of new friends, especially when you hike the circuit. This time I hiked with my Californian friend (ha!) Kristin and found it to be great as well. Generally spoken I’d recommend to team up with someone, this way you can split some of the weight & you have a hiking buddy with you to support each other..but due to the fact that there are many other trekkers and the paths are well marked it is also easy to do alone. In TdP itself you can get along with some basic Spanish, due to the amount of tourists many even speak good English here. The best way to get to Pto Natales is via Bus from Punta Arenas – from Santiago there are regular flights to Punta Arenas. Please take all the weight into account you have to carry for this trek and try to prepare as good as possible (hit the gym to strengthen your back, come with good equipment you know already and you have used before). You can also take a look at my YouTube channel where I just published 2 new videos about my trekking experience this year – this way you get a little impression how it feels like and what to expect. Great info, thanks! Just wondering, however, about the reservations at campsites. You mentioned that hikers may have to turn back at the pass due to bad weather. What happens if you show up a day late to your future reservations because of this? Also does it become an issue in terms of then not having a reservation at the campsite you get turned back to? Hi Jennifer, as you can imagine this could be an issue as at the peak times the capacity is at its limits. I can’t really help you with “what happens if…” questions as I targeted the shoulder seasons when I hiked in TdP, but this year compared to 2013 even the shoulder season saw a large number of hikers. I’d suggest you to be early at the camp sites to have the chance of getting one of the still available spots. For more info you should get in touch with fantastico sur, vertice and the CONAF as they are operating the various campgrounds. In general you’ll have less problems for the backside of the park than on the W part. Enjoy your time there! CONAF has been very unclear about this, just mentioning that they are limiting the number to 80 but not on how they do. It seems like as long as they don’t have a working booking system they just roll with checking the reservations for those campsites on the circuit. Hi Steve, Is there an alternative to the Campamento torres in the Circuit? We would liek to do the hike in february. However, on the website the campamento torres is not an option to book…. CONAF has been very unclear about this, just mentioning that they are limiting the number to 80 but not on how they do. It seems like as long as they don’t have a working booking system they just roll with checking the reservations for those campsites on the circuit. If you want to be 100% sure I’d get in touch with CONAF via eMail but I think you should be fine. I’m looking at vertice Patagonia and it’s showing that every camp site is already sold out during mid-late December. Is this correct? Hey Will, I can’t really give you any information on this as I’m not with Vertice, CONAF nor fantastico sur. Please get in touch with them directly to check their availability. I made my reservations a month ago, and some of the refugius were altredy fully booked at that time. Online a lot of the camps like Dickson, Perros, and Paine Grande says that they’re “fully booked,” for the time I want to be in the park. Does this mean that I can’t get in or are the refugio private camping work differently? It doesn’t work differently and spaces are limited..often the companies still have space but want to sell those only if you book a package with them which includes food. I advice you to get in touch with them directly to see which options you have! Hm..it’s hard to tell but it must have been around 15kg. You can find a water stream every 15-30mins on average, therefore I didn’t carry any water. thanks! The Online Reservation System is new, so there might be problems every once in a while. Reserving is highly recommended due to high demand. Most dates during the high season are already sold out. You don’t need a guide for the O. If you have some trekking experience you’ll be totaly fine. I also recommend visiting the talk at Base Camp (erratic rock hostel) before you go for the latest information! Hi Steve, thanks for all of this awesome information! I’ve been confused on the difference between the Q circuit and the O circuit…my friends did the Q and said it took 10 days, 9 nights…what do you omit by doing the O circuit instead? Thanks!! I was wondering if you had any advice…. I’ve booked all camping sites for the O circuit in late February but when I go to reserve a camping space in los cuernos they only offer “tent space with full board” around $90 USD. I’m not interested in food bc I’ll bring my own. Do you think if I just showed up in person would I be able to pay just for a camping space ? I see you listed your stay here at 8500 pesos. Did you just show up without a reservation? Thanks for the great write up about the Circuit. I have a question about going during the shoulder season. My main interest in Chile is hiking in Patagonia, but I can’t get down there until the end of March. I have been on the booking websites for Vertice, Fatantastico Sur, and CONAF, but it looks like some of the Refugios starting shutting down April 1. Can you still hike the Circuit in April? Online bookings are not available for Dickson and Los Perros with Vertice. And Fantastico Sur’s online bookings end on March 31 for everything. So should I just try for the W in April? Or would it be better to postpone my trip until the next hiking season (i.e. next November)? As we came during off season, we didn’t need any reservation and everything ran smoothly…but I have to say that all camps on the W were still very popular and we tried to be early at the camps to secure a good spot to pitch our tent. Last year they didn’t ask for pre-booked reservation from 18th of March onwards – please check with CONAF if this is the same this year (we could only find out about that in Pto Natales). hello steve! love your guides and have been using them alot to plan for our trip. I see some of your videos you use drone footage? can you fly in TDP? Hi Darren, Drone usage is not allowed in the park – I was flying my drone in the privately owned section where I worked with the Hotel Las Torres who own that area and gave me permission to do so. it is possible but it will be a tough and long day. I’d decide depending on your fitness level. If you don’t get a space at Italiano you could consider Francés as well. unfortunately the amount if visitors this season is extremely high – your last bet would be to go to the offices of Vertice, Fantastico Sur and CONAF in town to see if they have some last minute cancellations. If you stay inside the park you have all options as you are not tied to the bus times for the transfer to and from Puerto Natales. If you stay in Puerto Natales I’d highly recommend the full paine tour and the day hike to the Torres! 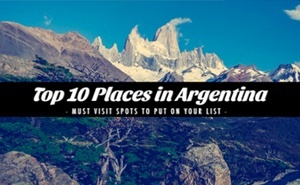 An alternative would be to go to El Chaltén where you have numerous great hiking options. Nevertheless I think Torres del Paine is worth it even with the day hikes and tours I mentioned, I’ll also write about those more in-depth in the future. Hi Steve! Such a useful and beautifully written article!! I’m planning to do the O hike end of march and I’m bringing my own tent and gear. I was wondering if you still need to make reservations at the campsites if you bring your own tent, and if so, where you could do that. Until now I’ve only found guided tours and/or campsites with tents food everything. Thanks so much!! Brilliantly written Steve!!! We are family of 4 – 2 adults and 2 kids (8yrs and 13 years). One of the main reasons for our visit to Chile is TDP. But, I am kind of sure W will be out of consideration for us, since my 8 year old wont be able to manage. Is it possible for you to help us with suggestions for other hikes? We want to spend major portion of our time in TDP. We are coming all the way from India (40 hours of travel) and we want to know how we can soak the glory of TDP without doing W loop. Do you recommend us to do day 1 and day 2 alone of W loop? What will work best? Please advise. I’d suggest looking into the tours which are on offer e.g. the full day tdp tour with a bus, also the boat excursions are a great way to ecperience the park (pudeto and the grey glacier one). As for day hikes I’d suggest doing the major one up to the torres! I did it that way but it is very very tough on day 2! I am planning to go near Christmas…with my trek possibly ending on Christmas Day. Do you know if buses will still run as normal on Christmas/Christmas Eve? Hi! thanks for your post. I don’t have a ton of hiking experience and have never done solo backpacking nor any winter backpacking. Ive done some multi-day group trips on the Appalachian trail and in the white mountains in New Hampshire, but all have been pretty moderate and not too extreme (difficulty/temperature wise). I would love to get down to Patagonia and do some hiking, but I’ll be in Argentina during the months of June and July so it’ll be winter and I’m guessing pretty cold. Where should I start in terms of planning this trip (I’m hoping to make it a week or less)…would it be possible for me to do any solo stuff with my experience? Does anybody hike in Patagonia in those months? Will I need a guide, and if so where would I find one that would be trustworthy and also reasonably priced (I’m on a budget)? Hi there – thanks for the very helpful guide! I was hoping to do the circuit in October but am struggling with the booking systems – and some sites have indicated that they may be closed on October. Is this normal? Thank you for all this information. I’ve tried to reserve the 6 night version of the O route, but Vertice won’t allow me to go from Seron to Perros since they’ve had issues with people ending up staying in Dickson. What do you think about going from Seron to Dickson to Paso and skipping Perros to keep my plan at 6 nights. It is possible but only if you start very early and are a fast hiker as there is a time limit (2/3pm!?) – after that they won’t let you hike onto the pass anymore. They indeed raised their prices massively – the demand is high and the season is nuts with many tourists who would even pay more. Unfortunately there is no other way as fantastico sur & vertice are the only operators of camps in the park. Hi. I planed to do the ‘O’ route in April since I saw that season is till end of Apr, But when I tried to book in Camp Seron, it reported that it close. When I sent email, they told me that it is open till end of mar only. Did someone travel the ‘O’ route in April time frame? Where did you sleep? 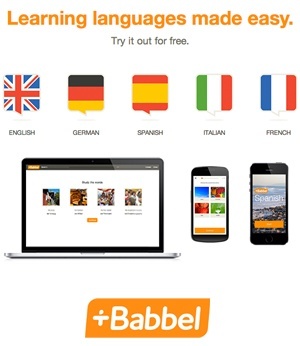 Thanks for the great site and also for the guide which I downloaded and was very helpful. thanks also for answering all these questions below. 1. I am doing the O Circuit in early March. I am camping the whole way and would like to not pay for meals at all. I am an experienced backpacker and have no problem carrying all my food for a trip of this duration. I noted though that Chile is pretty strict on bringing food into the country so I am planning on just buying food there for the trek. I am wondering if I will be able to find a good selection in Punta Arenas and or Puerto Natales for food on the trail. I read in your guide that there are supply stores in town but I am wondering if they have a full selection of food (ie dehydrated meals and such). Also,, I cannot take gas on the plane so I am wondering if the supply stores sell gas that I can use with my jet boil…like the isobutene propane mix that is pretty standard here in the US. 2. I read below in some of the older posts about the limit on the number of people allowed on the circuits and perhaps a need for a permit just to get onto the trail. I also read though that there is a lack of clarity on this. I have not read about a need for a permit or anything other places online so I am wondering if there is new information you have on this. I have all my reservations at campsites confirmed for the O circuit. Is that all I need to get on to the trail with no problem? Thanks again for all the info and for responding to all these posts! 2) The reservations are your permit – it is the campsites which have limited space. Once you have all the reservations needed for a certain route you are allowed to do the trek. Thank you very much Steve! Again, I appreciate all the support you provide fellow trekkers here. Hi Steve, just seeing your thread with Ben regarding food. I plan to fly in with bag meals from a local camping company – did you not bring any food into Chile? I saw that I can’t bring in nuts or dried fruit but I was under the assumption that I could certainly fly in with backpacker meals – can you speak on this or did you not fly in with any food at all. I arrive in Santiago, Chile. I didn’t bring food into Chile but a friend of mine brought in those freeze dried meals from the US which we partially used on the trek. As mentioned in the article you should check the ingredients with the restrictions set by the gov of Chile to be sure you can bring it in. Hello, I am looking to do the circuit this May. I want to do it solo so I am interested in hiring a guide for safety reasons what is the best way to hire a guide and what would be a fair rate to pay? Hi Steve! Looking to do the O trek and have booked Serón’s campsite, but Vertice Patagonia only has openings for Dickson, Los Perros, and Paine Grande but not Grey and won’t let me book the other three without proof of Grey campsite booking. I can’t find an opening anywhere, and am trying to find a way to book those three and just figure out Grey when I get there. Do you know of an alternative to Grey? And how strict they are with campsite confirmations.